Lucia came to the Sanctuary in May of 2015, quickly fashioning herself into “the eccentric grandmother” who led the Underfoots— our eclectic gang of free-range characters. On Saturday, January 20th 2018, we said our goodbyes to Lucia. 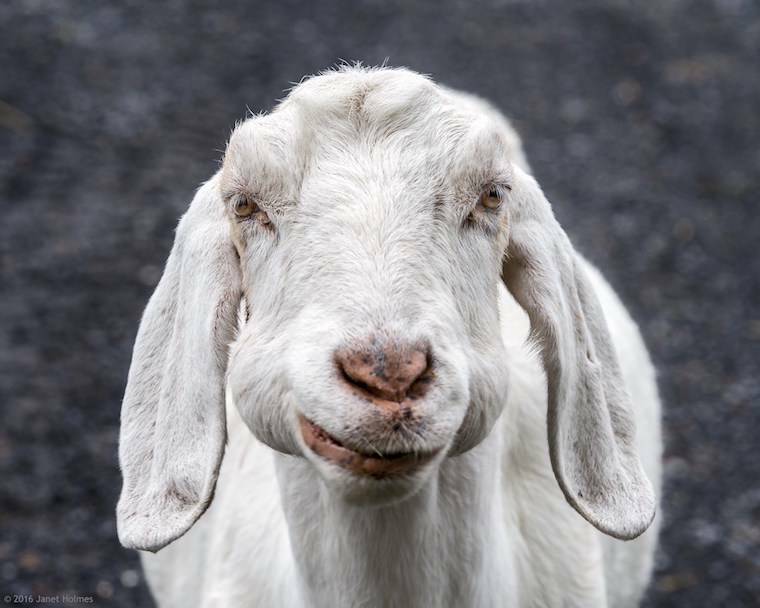 And though 18 years is a long life for a goat, it doesn’t lessen the sting of the loss of our dear, affable, floppy-lipped, ever-smiling Lucia. 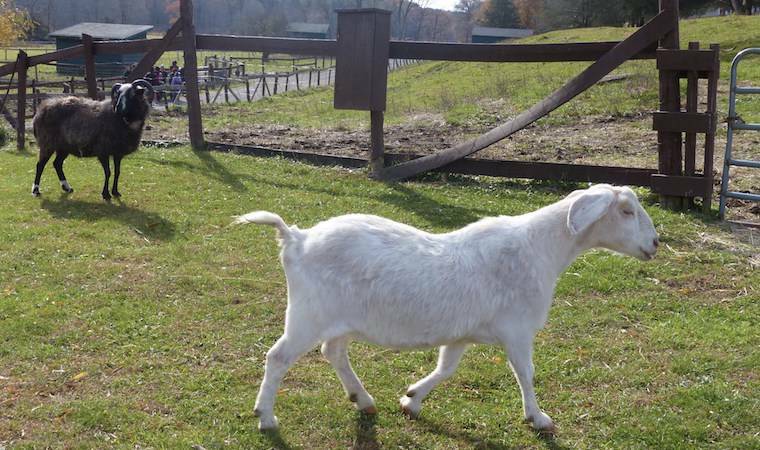 Lucia came to the Sanctuary in May of 2015, quickly fashioning herself into “the eccentric grandmother” who led the Underfoots— our eclectic gang of free-range characters— on adventures large and small, including wandering up the driveway to our neighbor’s yard to decimate her prized shrubs (hence the new gate you might have noticed if you’ve visited recently). As she aged, her travels diminished, and adventures were confined largely to the barnyard, where she shared a nighttime stall (and chopped hay) with Hannah the sheep, recently blind, a fellow Golden Girl. Lucia had been slowly failing for many months, and when it was time to let her go, she was surrounded by those who knew and loved her most, who sent her off with all the love she so rightly deserved. Thanks for the memories, old girl. And thanks, especially, for the love.